Cheerleading pom-poms can be used for a variety of reasons: costumes, cheerleading, dance recitals, birthday party themes and much more. They can be made in a variety of metallic colors and sizes. By making your own, you can customize your pom-poms to fit your own personal taste and style. Fold your plastic tablecloth so it resembles a square. Place the folded plastic on a solid surface or workbench. You want the side of the tablecloth that flaps open to be closest to you; the other side should fold over. With a sharp pair of scirrors, begin cutting thin strips away from you. Stop 4 to 6 inches before you reach the end of the folded side of the plastic. Gather the end of the plastic that has not been cut. Securely wrap duct tape around it until it feels firm and steady. 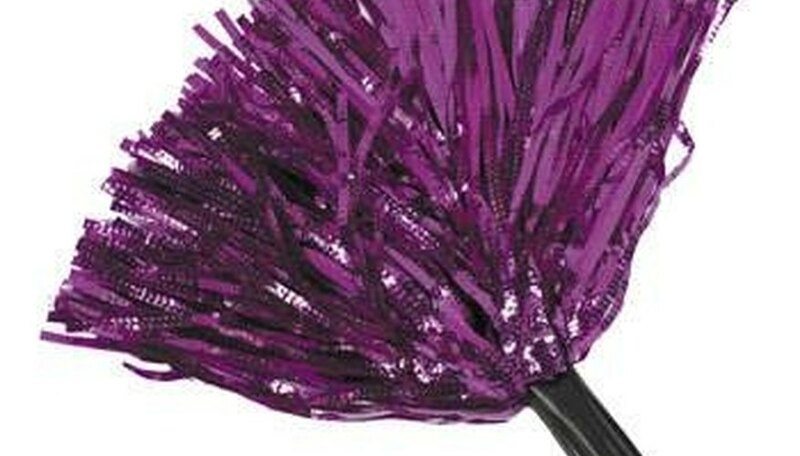 Once the pom-pom has been taped and shredded, look for any strips that may need to be trimmed. If you desire thinner strips, lay the pom-pom back on the solid surface and continue to shred the strips. Cut the pom-pom to the desired length.